As much as we like to use it to our advantage, speed can’t always evade bad weather. This is why it’s important to make sure you are carrying layers that will allow a safe return to the trailhead. 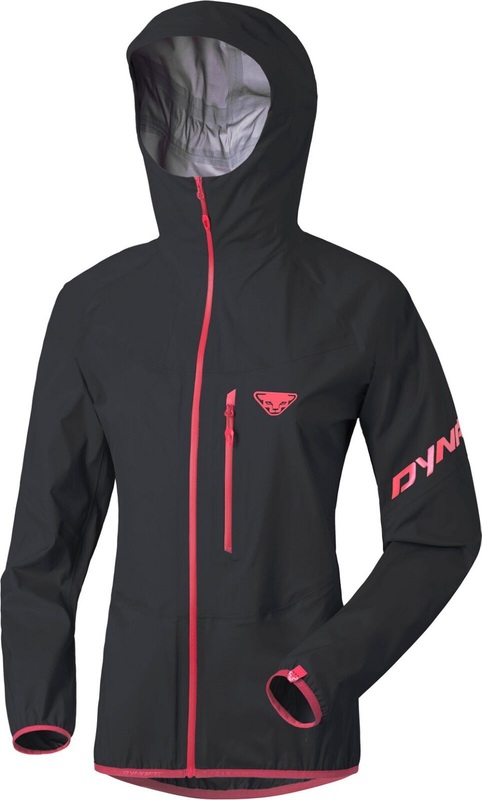 Luckily, the Dynafit TLT 3L Jacket does so much more than just get you back to the car. It’s packable enough that you won’t even notice it’s there, but weatherproof enough that when it is there, you’ll be thankful you had it. The constricting trash-bag qualities that a hard-shell will generally embody are part of the reason you won’t see any of them in our store. That all changed with the introduction of the TLT 3L jacket and we knew that it had to be shared with the world. The Dynashell 3-Layer fabric defies stereotypes with its well-rounded characteristics and allows freedom of movement while maximizing protection from the elements. Boasting impressive waterproof, breathability, and stretch characteristics, the TLT 3L is the perfect companion to light ‘n fast pursuits when the you-know-what hits the fan. Four-way stretch fabric is conducive to moving fast in the mountains and won’t hold you back. Passed the 20,000mm water column test for waterproofing. Breathability rated to 20,000 g/m²/24, which rivals many jackets with much less waterproofing. Reflective striping for added visibility in whiteout conditions. Taped seams for further waterproofing. Packs into its own helmet compatible hood.